I'd rather die trying to live, than live trying not to die. 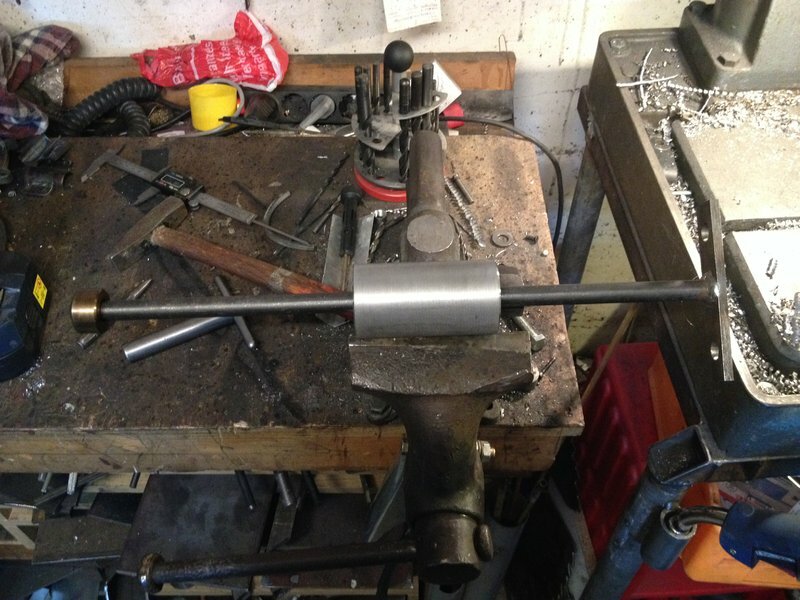 Needed a faster and easier way to make the vice appear/dissapear on demand. don't know if it's a new idea but my shopmate suggested it and I pieced it together. Used a receiver hitch to mix and match components. what other uses did you find for it? 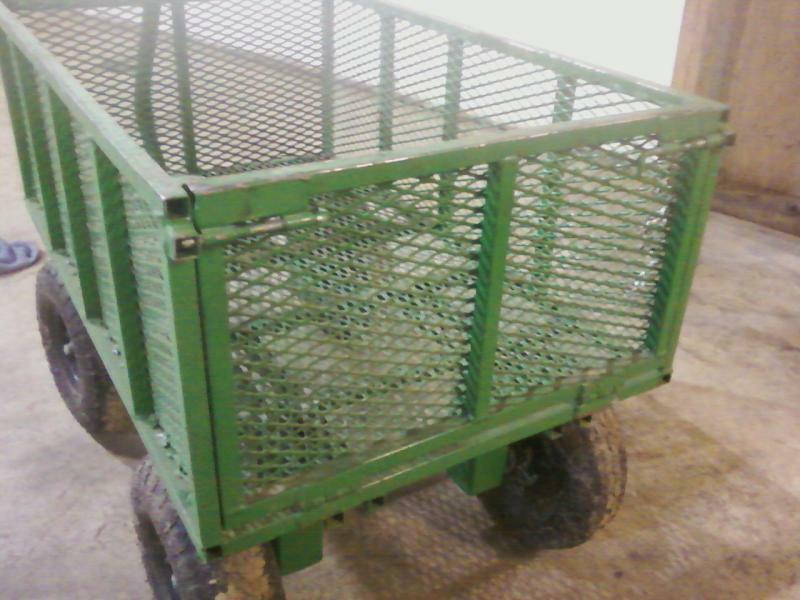 A wagon/cart I made for junk yards/swap meets/shop duty. Has a jeep unit bearing for a pivot a removable handle and a functioning tailgate. Proven to be extremely handy. Got anymore pics of that cart and how you structured it? I dig that and the idea has been floating in my head for a while now; particularly with that hub bearing concept. I'd be grateful to see some pics of the bottom side of it. Got anymore pics of that cart and how you structured it? I guess i don't. I will happily snap some tomorrow. I use that thing every day. here ya go fish, sorry about the crappy phone pics. built mostly from square tube, i think 5/8" or 11/16" thin wall. 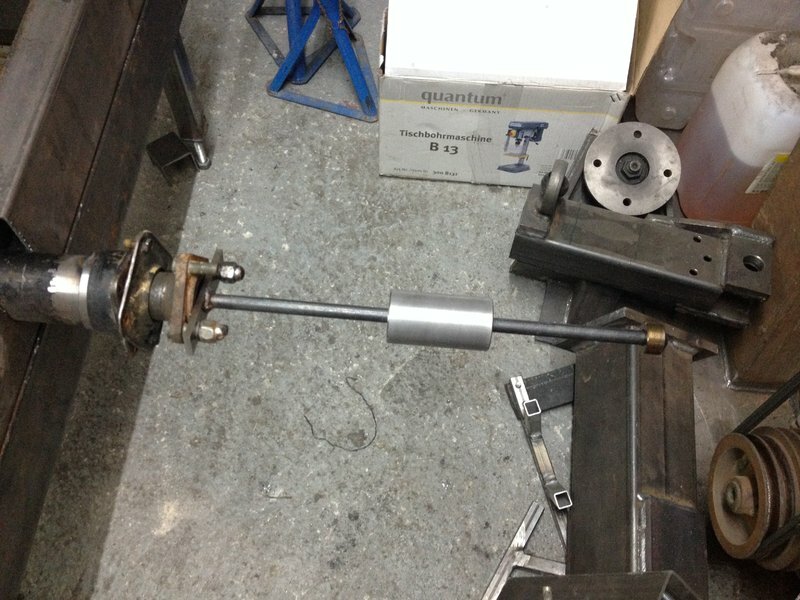 front "axle" is part of an old ruffstuff truss. Since I built it my girlfriend even likes to tag along to the junkyard with me, provided she has coffee and iphone. Both have proven to be quite handy . Thanks for the pics lobster. About what I had pictured it would be underneath. 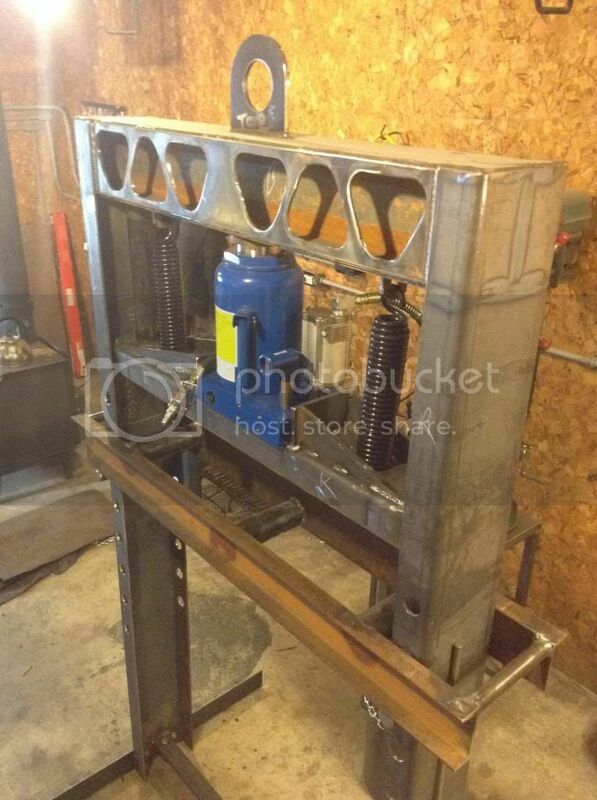 50 ton air/hydraulic press i made. 3' wide capacity. 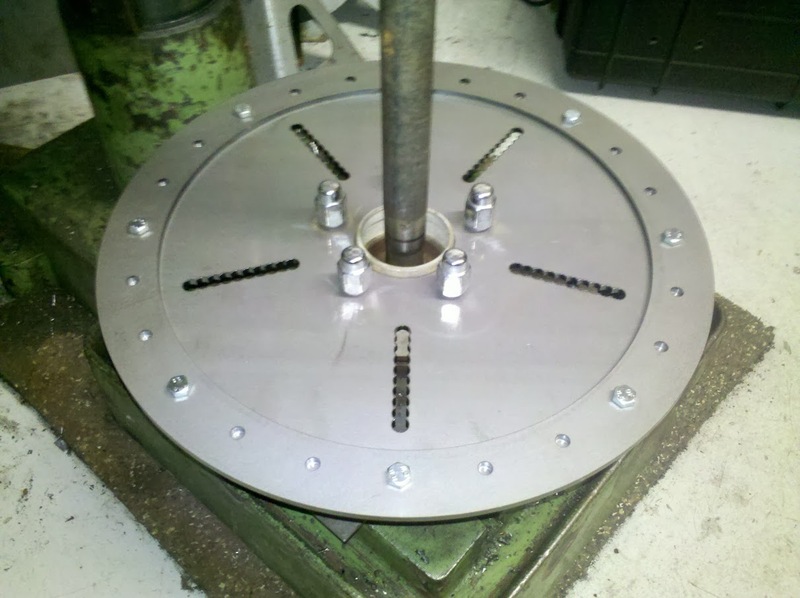 ive added the pressing shaft and machined a quick connect die system since the pic was taken. Last edited by eleventhgen; 01-23-2014 at 03:39 PM. Check out this hacked up mess I found in a old toolbox I used as a kid...it's caps I made to pressurize a 2-stroke expansion chamber and pop out dents once heated! I'm thinking I was around 12 years old when I built these with a old drill press and some scraps , and from what I remember they worked great. Last edited by Brad; 01-28-2014 at 08:14 PM. Those look pretty awesome... how did they clamp on? Looks like a box of jigs that we got from a machine shop auction years and years ago! I'm sure the stuff in there was useful at one time, but god only knows for what! Lol. made thease crimp/swage blocks for my press. Do you remember what size drill for each gauge? Made some chile roasters: both are 10" in diameter (the largest the grill will accomodate) and balanced. One is 15" long and the other is 23" in length. Location: Vancouver, BC, CANADA EH! 88.5 Suzuki Samurai, Daily driver with locked toy axles. I had one of the store bought version and found the damn thing would flip on unlevel ground with a load and turning. So I did an axle mod and moved the rear tires out 3-4" on each side. Now everyone borrows the wagon. Last edited by R290; 01-29-2014 at 12:15 PM. Sorry... no pix of fabrication. Should have, but didn't. Rellenos fried in 1" of canola oil. Last edited by robert-r; 01-29-2014 at 07:18 PM. never been a problem, but its flat everywhere i use it. I did dump my girlfriend over backwards in it trying to pull it through a ravine however. She was. . . not happy. They had four pinch bolts ..each at 90° to each other that kinda clamped the caps on each end, also has some kind of rubber to act as a seal. 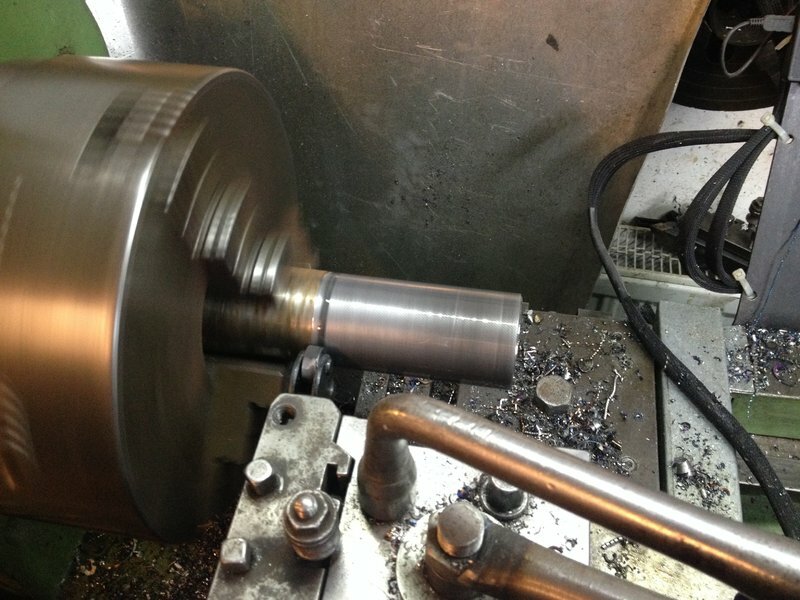 You needed to be cautious when clamping on cheap pipes that lacked a welded on billet ring as you could collapse the chamber ends pretty easily. The caps didn't need to be too tight because 20-25 PSI of air and a little rosebud action and all but the worst dents came right out. 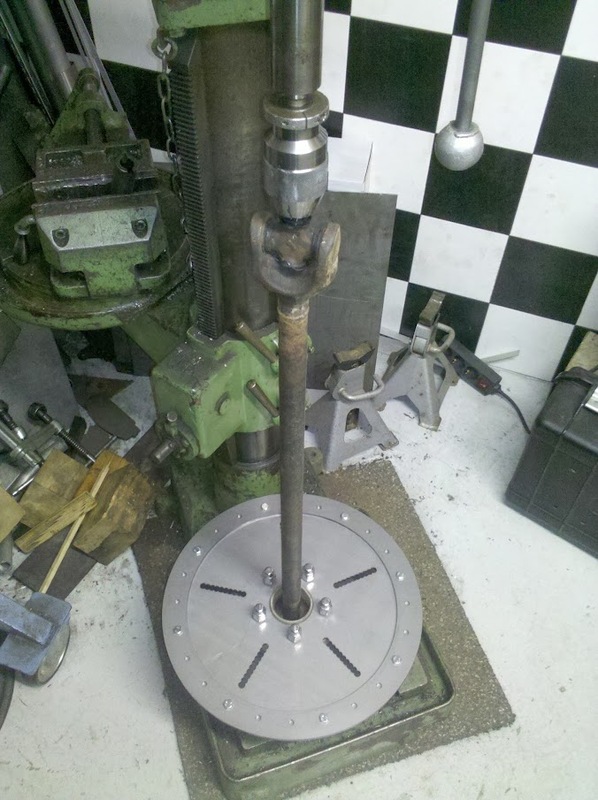 I will us a F-convertor on the drill press to regulate speed!